Great book. I especially enjoyed the portion explaining the fallacies with the given examples. Does tend to be a little dry at times, but a good read nevertheless. Vox Day is an excellent author. Subject well researched and presented. I am learning a lot! Five Stars. Eye opening. Well written. If you have read the first installation in this series - SJWs Always Lie - you know what to expect. But perhaps you might think that you already know what is in this book. Well, yes and no. A lot of the stuff will be familiar to those who have followed the SJW wars, but the tactical and strategic details spelled out in the different chapters on how to identify, resist and deal with SJW infiltrators is worth the price. Even after participating, the section on the strategic thinking behind the Puppies' takedown of the Hugo Awards was an eye opener for me. Knowing how SJW's infiltrate and destroy organizations from within is invaluable information in an age where virtue-signaling is more important that delivering products and services. Since Christmas is coming, it may be worth remembering that both SJWAL and SJWADD are now available in paperback, so it's easy to put them in the hands of family members and colleagues who you suspect may be targeted by SJWs in the coming year. Or better yet, who happen to be in a position to do something about the SJWs already infesting their organizations. Remember, 2018 is the year that SJWs and the rest of the Left are going to be amping up the rhetoric and the political intensity in the hopes of taking back some of the ground they've lost since 2015. We can safely expect the temperature of the cultural cold war, and the number of metaphorical casualties, to rise as a result. I bought both books. WELL worth the price, and worth re-reading periodically, as well. I am getting Cuckservative for some conservatives friends of mine. One book that I would like to see Vox make is "Churchianity". If Vox collaborated with Dalrock it could be a winner. There could be a chapter dedicated to "Judeo Christ". That's not a bad idea? Dalrock, you up for it? I'll be picking up extra copies for Xmas gifts. I've noticed the usual infestation of bogus 1-star reviews attacking the author haven't materialized for this book. Do you think Amazon has had something to do with that or have the SJWs moved on to softer targets? Do you think Amazon has had something to do with that or have the SJWs moved on to softer targets? I assume the latter. It has become obvious that they can't overwhelm the Castalia supporters, so they've given up for the time being. All it really does is inflate the number of total reviews. @2 "Churchianity" would be red meat, that's for sure. The 2 SJW books are books you can't do without, to my mind. The first in particular blew my mind. Transcendence Cat levels of mind-blown. The second was only great, rather than a consciousness-expanding voyage across space and time. But I think I need to reread 2 to really get the benefit of it. VD wrote:That's not a bad idea? Dalrock, you up for it? Vox and Dalrock deconstructing Churchianity would be an auto-buy for me. Coupled with "SJW Always *" and the Anonymous Conservative's books, this would make a great core library for any Alt-Right/Alt-West Culture Preservationist. Great Christmas gift for 2018. 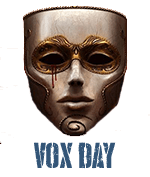 From your link: "On the contrary, as Vox Day persuasively demonstrates in his new book SJWs Always Double Down , Trump wields Twitter like a cross between a surgeon’s scalpel and a theater commander’s Daisycutter bomb." And this: "Virtually none of my colleagues, even in the conservative media, has a good word to say about him. They think of him in all the usual leftist cliches: that he’s crass, vulgar, dumb, brash and so on. They think that those few of us who defend him – like me, Katie Hopkins, Nigel Farage, Jacob Rees-Mogg, David Pryce-Jones, Daniel Johnson and a handful of others – only do so because we are attention-seeking loons. The scale of his ambitions; yes, fantastic. This may be the most comical phrase ever posted on the internet. Churchianity would be the killer app for any one to have. Man of the Atom wrote:Vox and Dalrock deconstructing Churchianity would be an auto-buy for me. 10/10 would buy / proofread. Samaritanism & the indifference of the priestly caste. Giving the children's food to the dogs. An in depth study of such biblical terms as neighbor, stranger, brother, etc. 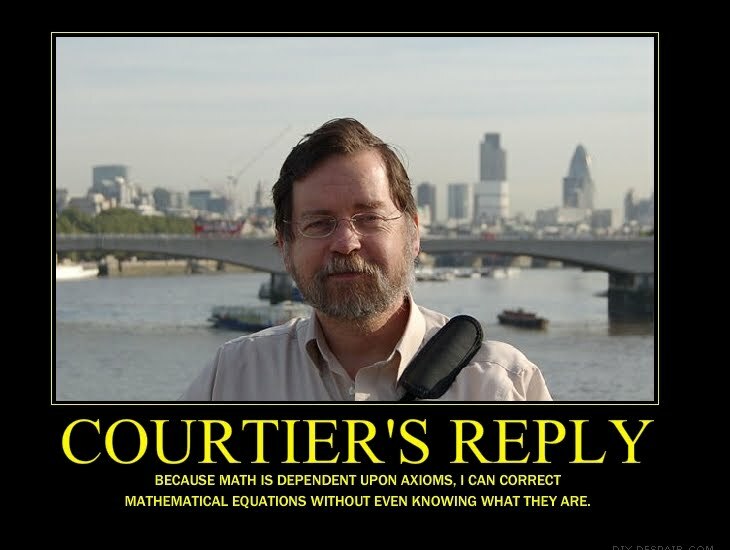 Especially in context of N.T. teachings. Diversity / displacement as a curse, stranger in a strange land, Shinar. Different views on the relation BTW old & new testaments. ...nailing the 16 point thesis on the church door? Churchianity needs to be a topic for multiple Voxiversity vids rather than a book. Eventually publishing a book might make sense but remember the point of Voxiversity: how do most people today take in information? btw when are we going to hear about the new project Castalia House just emptied the calendar for? I would definitely buy a Vox/Dalrock collaboration. I am old and mostly can't stand learning from video (unless it's a highly visual topic), because it goes so slow. I’d buy up Churchianity as well. The rise of the Emergent/Emerging theology of the late 90s and early 00s greatly impacted the Evangelical/GospelCoalition narrative far more than those formerly conservative practitioners understand. The theological response by names like Piper, Moore, NTWright, McKnight, Keller, and others, while fresh and compelling, lacked foresight and historical perspective. Now the likes of RachelHeldEvans and the Sojourner followers of Rob Bell, Greg Boyd, Jim Wallis, McLaren, and Miller drive the narrative. A critical analysis of the wrongly named Contempative Christianity movement which morphed into the Emerging/Emergent ecclesiology and that was ineffectively critiqued by the neo-cuck-Calvinists is definitely required for American Christians to understand how we got here and how we might turn things around. Oh please do this! Praying for the Lord's hand in that collaboration. From my observation, the liberal propaganda machine has been under performing, limping along really, for the last month. Is this the result of ongoing trends, the sexual harassment thing, or the machine completely falling apart? I don't know. 2) attacking each other or baffled silence on the Hollywood sexual harassment "revelations"
Meanwhile, the GOP somehow managed to get out of their own way long enough to pass a Tax Reform bill. Merits of the bill aside, it was a struggle for them... and they were virtually unopposed. The day the GOP passes the tax bill, THEN the left wing social media apparatus switched into high gear to stop it. Too little, too late. They're also failing to exploit the Michael Finn plea although it's too early to tell. Is it just me or have they imploded? In case you didn't know, you can speed up Youtube vids up to X2 . It's in the gear shape down near the bottom right of youtube vids. I think you mean Antichrist. What do you say to well-meaning people of Christian faith who are genuinely concerned about the plight of the oppressed & war-ravaged in 3rd world trouble spots? How do you discuss the Christian's response to the poor & fleeing? > What do you say to well-meaning people of Christian faith who are genuinely concerned about the plight of the oppressed & war-ravaged in 3rd world trouble spots? No one is stopping them from giving their own money and time to assist such people. They can even go there and try to help if they want. So what's their real concern? @22, go there and help. But also, help here. Many, many people need assistance with many aspects of their lives. Love thy neighbour doesn't mean step over him on your way to virtue signal. @23 Virtue as a consumer good. Voting for someone else to do it gets you all the personal benefits (goodfeelz and status) without any cost to yourself. It's consumer Christianity. Fill your trolley, these prices won't last. wreckage wrote:@22, go there and help. But also, help here. Many, many people need assistance with many aspects of their lives. Love thy neighbour doesn't mean step over him on your way to virtue signal. I honestly don't believe we are to spend our time helping someone in a far-away 3rd world country. We are told to love our neighbor as ourselves. What does neighbor mean in the Bible? In the Greek, it is the neuter of a derivative of pelas (near); (adverbially) close by; as noun, a neighbor, i.e. Fellow -- near, neighboring. In the Hebrew, there is more than one. Rea, which translates means friend, companion, fellow. Shakan, which translates a resident; by extension, a fellow-citizen -- inhabitant, neighbour, nigh. So, in both the Old and New Testament a neighbor is defined as someone nearby, someone already known, a friend, or at most a fellow countryman. In the Old Testament who could ransom or redeem someone from slavery, imprisonment, debt, even the death penalty? God knew that fallen people would wind up in difficult financial situations, sometimes requiring them to either sell themselves into slavery – or to end up in debtor’s prison. Therefore, the Law made provisions for a kinsman redeemer – someone from the unfortunate person’s family – who could redeem them from their slavery. This is a foreshadowing of the redemption provided for by the death of the Christ. Who were the kinsmen that he redeemed? That is another study in and of itself. Just remember, God expects you to take care of what directly effects you, not to violate the "prime directive" by giving help to those that are not your neighbors. You can give them fish for years and they will never learn to fish for themselves. We have seen a population explosion among people that would normally exist in manageable numbers because we gave them aid, food, medicine, and technology. Now they outnumber us and are migrating to our lands, bringing the same genes and mindset that didn't allow them to take care of themselves in the first place. What is happening now is the same as what happened in the Old Testament. Satan tried to breed the Adamic race out of existence and there were only Noah and his family left. It has been part of his strategy since the beginning. That is why you see all corrupt organizations promoting immigration and open borders. Destroy Adam and his descendants, destroy the children of God. Shut up, stop virtue signaling, and pray for them. Remind them that they are to love their NEIGHBOR, not random people on the other side of the globe. > What does neighbor mean in the Bible? Christ explains it in the parable of the Good Samaritan. And note that he only tells the questioner to be like the Samaratin in helping others, not to love them. > But he answered and said, I am not sent but unto the lost sheep of the house of Israel. Which he was. If they would not accept him then no one would. It was passed to his disciples to spread the gospel to all nations. As others have said, help those who are close. Satan wants you to love humanity and hate the individuals you come into contact with. Praying for World Peace and importing the Turd World accomplish Satan's plan. Praying for your family, your friends and your nation, and helping the needy in your community, accomplish God's plan. @26James - Thanks...helpful stuff. How then do we square Paul's collection for the saints in Jerusalem? Clearly the Macedonians and Corinthians would in some sense have been taking assistance they could have expended locally to "go global"? Thanks again all...very much appreciated. @32 the Church is a family, and you help family. Family helps family, it does not vote for a stranger to give to another stranger and maybe the gift ends up with family. Another way of looking at it is there is a proximity of faith. Not a regional bombardment of stone-cold aid that teaches dependency on foreigners, erodes family tribal and national bonds, and rewards the fastest and most aggressive takers. That breeds dysfunction at every possible level. I think my previous comment got eaten by a poor internet connection. Looks like my new D&D fix will be Day & Dalrock. Anything that collaboration would produce is definitely worth a read. Try to recall a couple things. 1) ancient Corinth was hardly “global” in distance. 800 miles maybe? 2) You’re taking 2 Corinthians out of context. In ch8, Paul isn’t calling for “global missions,” he’s busting an extremely wealth group of Christians for being selfish a-holes about how they use their money and who they care about. The Corinthian Epistles are all about busting a group of influential and wealthy Christians who don’t act Christ like! They don’t follow instruction, they don’t treat their own church members with respect. They bicker, gossip, and play power games. They even try to play Paul and other apostles against each other. 3) Those influential Christians in Corinth probably knew many of the CHRISTIAN people in Macedonia. They certainly knew their stories and shared ecclesiastical resources (teachers, priests, leaders). The CHRISTIANS of Macedonia weren’t strangers across the ocean. They were ecclesiasial family, and possibly actual family in some cases. We have first responsibility to family and proximity impacts that degree of responsibility. 4) As generous as Paul depicts the poor Macedonians, we have no idea how generous they really were, and certainly not in relation to how well they first cared for their own. Again, the point wasn’t the advancement of global missions; the point was to correct the church at Corinth of their self centered ways. 5) You also fail to recognize the other dig against the Corinthians, that they were basically being accepted in their community vs being severely persecuted by the Pagan Greeks as the CHRISTIANS of Macedonia were. The Macedonians, even though pressed into destitution and martyrdom through persecution still managed to support Paul in his efforts to spread the gospel. Paul was basically their Archbishop tasked with apostolic mission as he was too for Corinth. Again, we don’t know how much the Macedonians supported Paul, but Paul believed it enough to shame the power hungry Corinthians for not caring for actual Christians in their midst, let alone 800 miles away. Again, this isn’t a call to global mission. It’s a correction of sin in context. You have to read both Epistles in their entirety. Are there people right where you live that do not know the gospel? Yes. Are there people right where you live who have significant and tangible needs not being met? Yes. So why are you abandoning them and going “global?” And if you’re a Corinthian or a Macedonian for that matter, and you’re giving of your resources in support of nonChristian people in far away lands while actual Christians in other lands are being persecuted and murdered daily (or for that matter in your own neighborhood), I say the same as Paul did but with less subtlety. Jesus said, "Other sheep I have which are not of this fold." His audience would recognize the allusion to Ezekiel 34. Israelites began spreading out beginning at the Exodus and following the captivities. Israel-Ephraim-Samaria, corrupted by idolatry, became the divorced sister of Jeremiah 3. They lost their name and language in the divorce (Isaiah 28:11, Isaiah 62), spread around Europe, near East, and new world, and became known as the nations--i.e., the gentiles: barbarians, Scythians, Greeks, Galls, Celts, Franks, Goths, Saxons (Isaacs-sons), etc. The Great Commission sent the apostles to these peoples, who received the gospel with great readiness as prophesied (Jeremiah 31:31). Judah the non-divorced sister (though equally corrupted by the leaven of the Pharisees) remained in the land as the custodian of the covenant until the death of Christ. The two sticks of Ezekiel 37 were made one by Christ (Ephesians 2). The Jew of today pretends he is an Israelite but is an impostor, else he would believe in Christ (John 5:46, Jeremiah 31:33). Read the prophets with a broad brush (mixed metaphors, I know); look for the themes that show up over and over. By the way, gentile: it is either translated from ethnos (greek) or goy (Hebrew) and should be a nation, or else translated from hellenos and should be a Greek. Gentile is disinformation and should not be in our language.